If Collectors Are Contacting You, Contact Us! Get Up to $1000 in Statutory Damages. By proceeding, I agree that the Law Offices of Michael Lupolover PC, or its representatives may contact me by email, phone, or SMS (including by automatic telephone dialing system) at the email address or number I provide, including for marketing purposes. Are you receiving harassing, abusive, or threatening phone calls or letters? Did a debt collector advise you that this communication is from a debt collector? 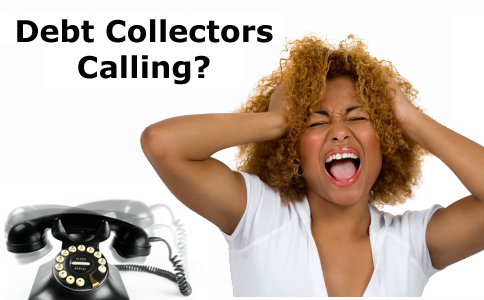 Did a debt collector leave you a voice message that someone besides you overheard? Have your friends or employer received phone calls or letters about your debt? Does a debt you disputed or settled still appear on your credit report? Receive up to $1000.00 For Statutory or More For Actual Damages! 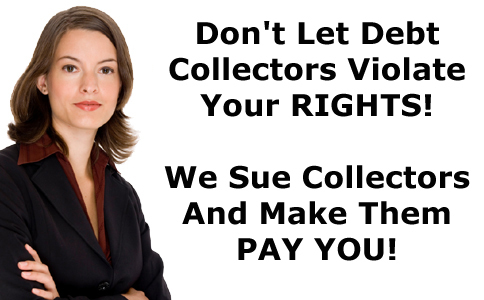 If debt collectors are violating your consumer rights through the FDCPA, you have the right to sue and recover up to $1000.00 in statutory damages and possibly more for actual damages! State and federal fair debt laws prevent debt collectors from using harassing, misleading, dishonest and unfair debt collection practices. These laws provide that victims of debt collector abuse can recover cash compensation from debt collectors, and require the collectors to pay all legal fees. Debt collectors routinely violate federal consumer protection laws in order to attempt to collect on a debt. They know that the average consumer doesn't understand the laws that are in place to protect them from unlawful collection practices, nor do they believe that even if you did understand that you know how to enforce your rights. The FDCPA bars all forms of unfair, abusive and deceptive collection practices. While the Federal statute provides a laundry list of potential violations, this list is not exclusive. The statute also provides a general prohibition on any form of deception, abuse, or unfair treatment. In spite of federal and state law, debt collectors continue to abuse consumers in order to unfairly pressure them into paying debts. These abuse tactics are often intended to scare or intimidate consumers, sometime with threats of violence or arrest. Other collectors pile on illegal interest or fees to make the debt seem larger that it actually is. In some instances, these debts are time-barred, discharged in bankruptcy, or not owed for other reasons. Has a collection agency or a collection law firm continued to contact you and demand payment on your debts that were discharged in bankruptcy? Filing bankruptcy protects you from such collection attempts by collection agencies and collection law firms. If your rights were violated, they may owe you money. If so, contact us immediately! Is there a false or disputed item showing on your credit report? Was your credit report accessed by an unauthorized individual or company? If so, contact us immediately! Abusive practices are not acceptable in attempting to recover a debt, regardless of whether you believe you owe the debt or not. Debt collectors are required by law to respect the dignity of consumers. Here's a general rule of thumb: If your mother would be upset at you for treating other people the way that you were treated by the debt collector, then that conduct probably violates the FDCPA. What Are Zombie Debt Collectors? Can A Debt Collector Call You At Work? Can Wages Be Garnished For Credit Card Debt? What Is A Scavenger Debt Collector?